Nutan Enterprises is a Rajasthan based professional firm and provides an extensive inventory of services, which also includes Housekeeping Services. Our services cater absolutely to commercial, corporate, industrial, and residential housekeeping domains. We offer affordable and reliable services, which are being streamlined by our networks spread far and wide in the Indian sub continent. 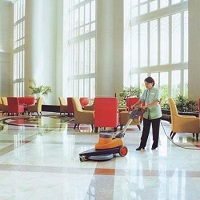 We can always manage to attain the meticulous services of the skilled professionals, workers and helpers at excellent pay to pilot and accomplish housekeeping tasks for you. The services rendered by us comprise of pantry management, trash removal, interior glass cleaning, swimming pool maintenance, daily cleaning, vacuuming, restroom cleaning, cutting lawn mows, carpet/upholstery shampooing, mobile cleaning and much more. We use latest equipment and also provide specialized services for pest control.